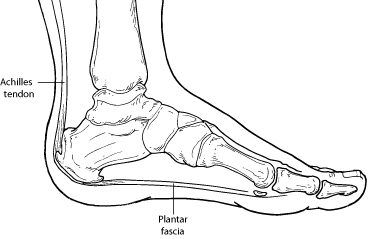 The most common cause of plantar fasciitis relates to a faulty structure of the foot. For example, people who have problems with their arches, either overly flat feet or high-arched feet, are more prone to developing plantar fasciitis. Wearing non-supportive footwear on hard, flat surfaces puts an abnormal strain on the plantar fascia and can also lead to plantar fasciitis. This is particularly evident when one’s job requires long hours on the feet. Obesity may also contribute to plantar fasciitis. To arrive at a diagnosis, the foot and ankle surgeon will obtain your medical history and examine your foot. Throughout this process, the surgeon rules out all the possible causes for your heel pain other than plantar fasciitis. If you still have questions regarding your Heel Pain, give David Simonson, DPM a call in Rockledge, FL at (321)638-2121 to speak to a specialist! Let us be your Podiatrist in Rockledge, Cocoa, Melbourne, Titusville, Merritt Island, & Palm Bay, FL Areas!